Different, unique, off the beaten track: Corum’s conception of watchmaking today has no equal. 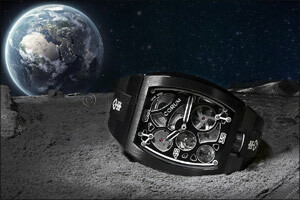 The brand launched a new limited series that embodies this manifesto: the Heritage Corum Lab 01. The idea: offer pieces with a racing, sculptural, technical, modern spirit and which will only be available as limited editions.